It has been a busy time at the pond and in our allotments. The FOSP AGM provided us with an opportunity to look at what we have done and future plans for FOSP at the site. 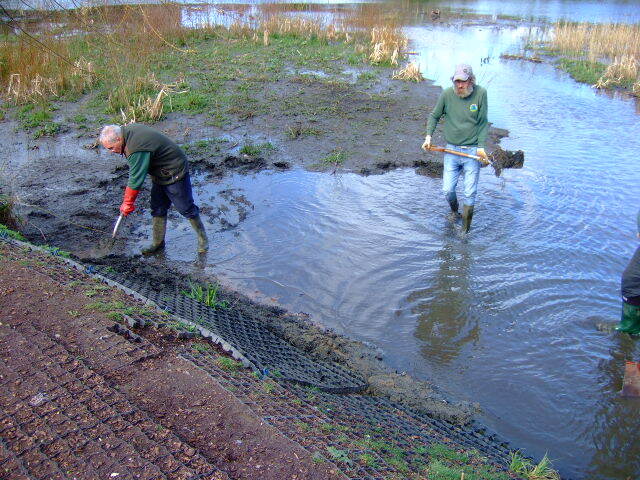 We are just custodians and will continue to improve and re-wild the site for all visitors to the pond. The team collecting wood from around the site. The vandalism which happened during mid-December is behind us and we are moving forward. We also had some incidents around the feeding area but have repaired them. 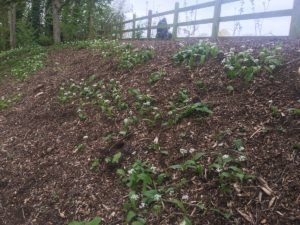 The Primroses, Wild Garlic and Celandine have produced a wonderful display on the new bank by the dam. You may have seen us over the past couple of Sundays, clearing the wood and opening up the woodland. Removing ‘whips from the margins of the mudflats. 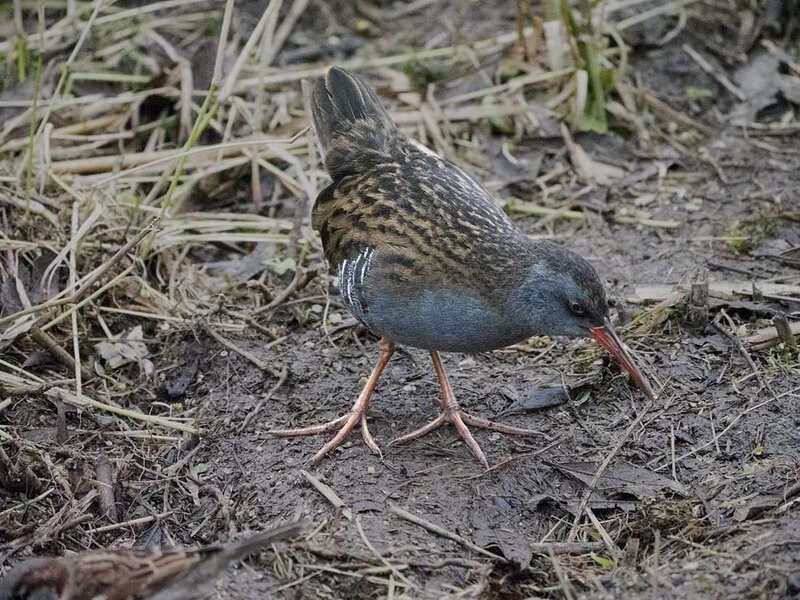 One of the visitors that you could look out for is the solitary Water Rail. Smaller and distinctly slimmer than the moorhen, the water rail is a fairly common but highly secretive inhabitant of freshwater wetlands. It has chestnut-brown and black upper parts, grey face and underparts and black-and-white barred flanks, and a long red bill. Difficult to see in the breeding season, it is relatively easier to find in winter, when it is also more numerous and widespread. Although usually secretive they can become confiding but are still far more often heard than seen, so listen very carefully near the big island. 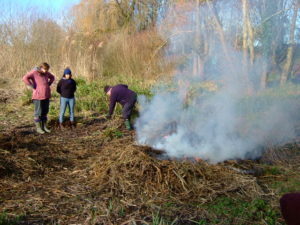 With early summer greens now making them known, the group have been clearing the Willows whips which have established themselves on the wetland margins. This keeps the vista free from obstruction and lessening the build-up of sediment and allowing flow through from up stream. We are working closely with local voluntary and national bodies to ensure that the sediment moving down will eventually be captured and held on site. 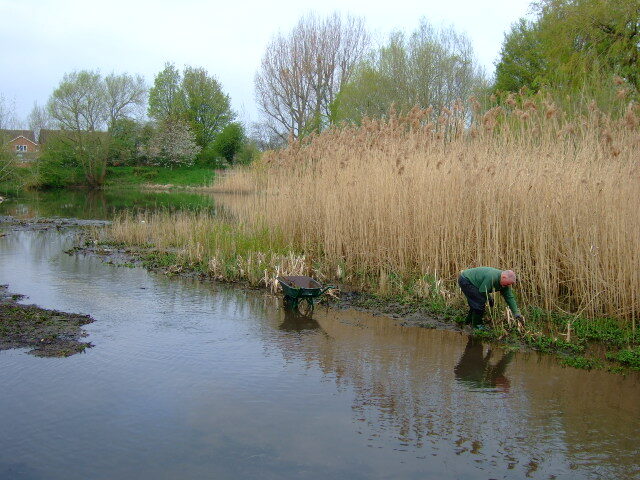 We hope to reclaim the river banks for local wildlife, enabling more access & diversity for all species on the Twyver and Sudbrook. On Wednesday 26th December, the interpretation board which had recently been replaced was found to have been demolished beyond repair, in its current position. Luckily, unlike the first one, a group member was able to salvage the main board which is now safely in storage. All F.O.S.P. 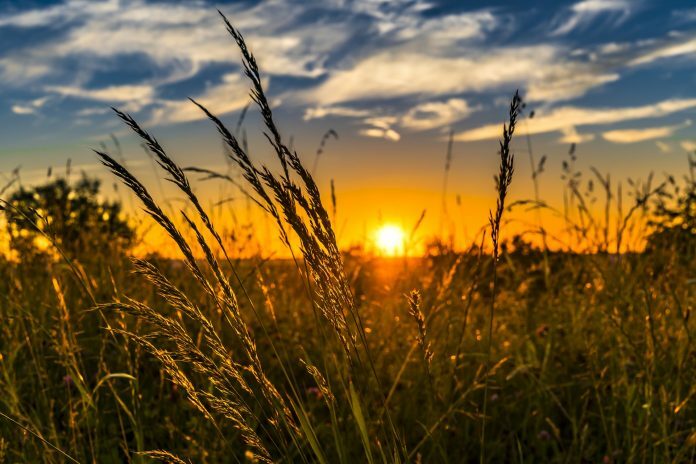 members are deeply disappointed at these turn of events and are looking to the future to continually improve the site for the benefit for the area and the surrounding community. If you are a regular walker or visitor to the site and happen to see either signs or are witnessing criminal damage to the site, please contact the local police by ringing 101. Details of acts or damage inflicted on site. Unique details physical descriptions of those involved a car registration number. Contact details of anyone who witnessed the crime. Information about any evidence that could help our investigation. It will be gratefully be appreciated by all concerned who are connected with Saintbridge balancing pond, the allotments and local community. After some time of living in Abbeydale, I noticed that my pretty view was being spoiled by litter…so I went out and collected the rubbish. 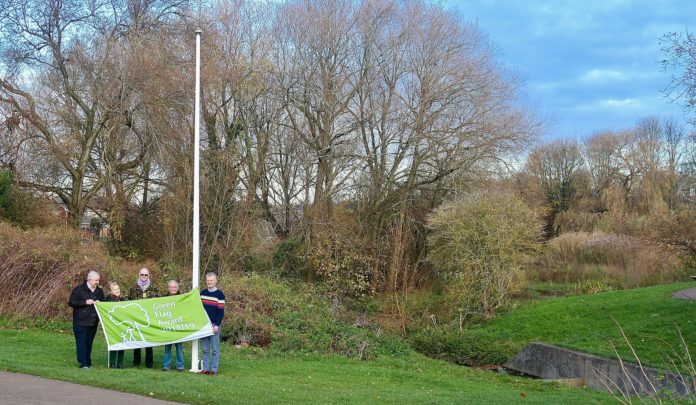 A few months later, I became an official voluntary litter picker for my local area. 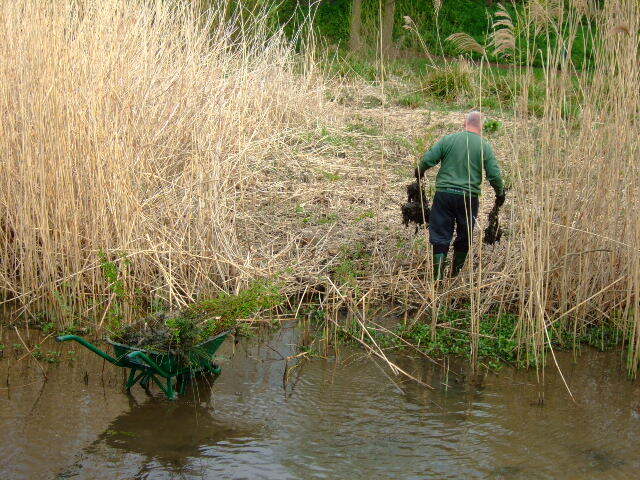 Quite often, I would paddle along Sudbrook in my wellies, using my litter grabber to remove rubbish from the water. Then it occurred to me that there would be other items that I had not retrieved and that would be washed down the brook – where would they end up? 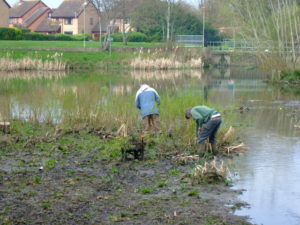 In Saintbridge Pond, looking a mess, causing harm to wildlife and hampering the flow of the water. Sudbrook is near my house, so I have a vested interest in making sure that water from the brook can flow into Saintbridge Pond easily and safely. I had seen one of the information boards about FOSP, went along to the pond one Sunday morning and met some of the volunteers. 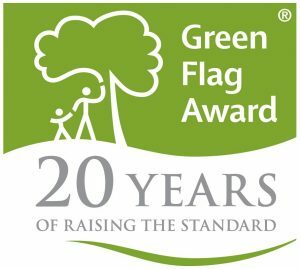 I liked the positive difference that the FOSP volunteers were making to the environment – and I became one of them. Himalayan Balsam: Why this ‘pretty’ plant is such a problem? Himalayan Balsam was introduced to this country in 1839 as a greenhouse plant. However, it found its way to waterside situations, such as riverbanks, the banks of streams and, importantly for us, Saintbridge Pond. Its botanical name is ‘Impatiens glandulifera’. ‘Impatiens’ means ‘impatient’ and refers to the plant’s method of seed dispersal. Gardeners amongst you may recognise ‘Impatiens’ as being part of the botanical name of the Busy Lizzie, to which Himalayan Balsam is related. The second part of the botanical name means ‘bearing glands’. Himalayan balsam has many common names, some relating to the hat-shaped flower: policeman’s helmet; Gnome’s hatstand. The names Himalayan Balsam and Kiss-me-on-the-Mountain came into being because the plant is from the Himalayan Mountains. Why is it such a nuisance? 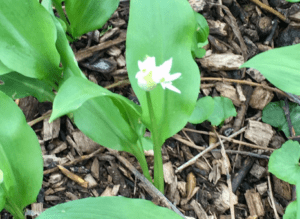 This attractive weed is a problem for a number of reasons: it grows quickly and shades other plants, so depriving them of light and killing them off. It produces a large amount of pollen over a lengthy season and because it is attractive to pollinating insects, it reduces pollination opportunities for other plants. The nectar is very sweet and can outcompete that of other plant species. The plant’s stem is fleshy, which means that it is not frost-proof, so Himalayan balsam dies off in the winter, leading to soil erosion. The shallow roots of the plant also contribute to the erosion of soil. How can it be identified? If you want to spot Himalayan balsam, be aware that it can grow 2 to 3 metres tall (6 to 10 feet). It is an annual and from June to October will have purply-pink flowers. The stems of the plant are a reddish colour. The leaves are in threes or are opposite and are edged with small red teeth. 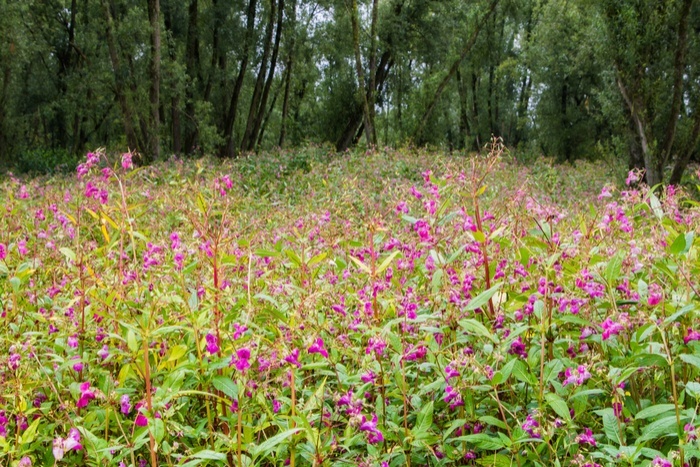 How should we deal with Himalayan Balsam? 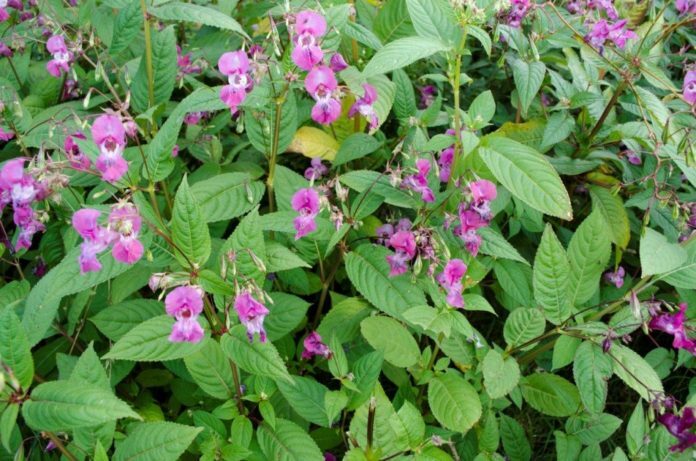 Some conservation groups – including FOSP – have ‘balsam bashing’ events to destroy this invasive weed. Removing Himalayan Balsam before it flowers is the most appropriate method of destruction, according to the RHS website. Pull it up – it only has shallow roots – or cut it down. On the other hand, if you are not confident about your weed-identification skills, you may prefer to see the flowers to be sure that you have the right suspect. 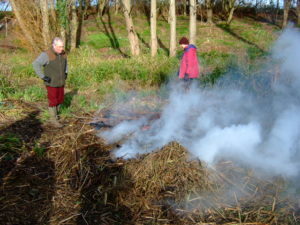 The website of the charity Plantlife, plantlife.org.uk, advises composting the weed or, if there are seeds present, burning it. Plantlife also notes that if Himalayan balsam is not allowed to set seed, it will eventually die out. After the very successful World Ocean Day Quiz Trail, Go Wild, Wildflower, and the Big Butterfly Count events that took place in June and July 2018 we are now entering the Autumn/Winter period when the weather will not be quite so easy to predict as it was in the Summer. 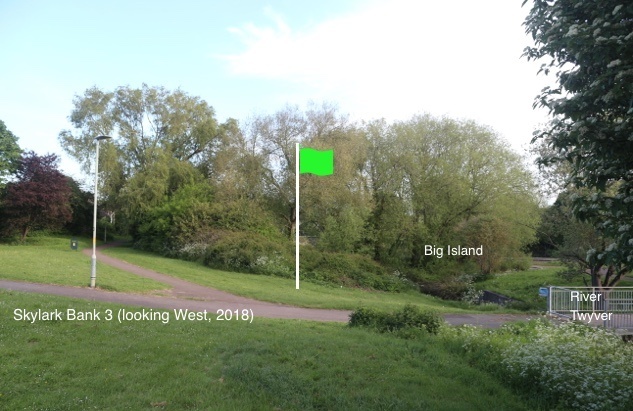 We are due to have an installation ceremony for the second flag pole at the Skylark entrance so that we can raise another Green Flag to the Saintbridge Pond Nature Reserve – date=tbd. Approximate position of new flag pole at Skylark. So -apart from that – there are no other events planned until the Spring of 2019. Keep warm, dry and well fed this coming season. Volunteering of any kind has many benefits for the volunteer as well as the recipient. Great satisfaction can be gained by giving time and effort to a worthwhile cause or organisation. Volunteers may be motivated by a passion such as child poverty, animal welfare or conservation. Getting involved can make a real difference to a cause which is close to the heart. For those seeking employment, volunteering can provide an opportunity to work in a particular field before committing to paid employment. Potential employers look favourably on experience gained in a voluntary role. The fact that someone has volunteered, in any setting, shows initiative, motivation and regard for others. Making a new circle of friends is a valuable benefit of joining a voluntary group. This may be particularly beneficial to people who have moved to a new area. Working with like-minded people is enjoyable and satisfying. New skills can be gained whilst volunteering and this on its own may enhance your CV and job prospects. In addition, sharing existing skills with others can be a rewarding opportunity to give something back. 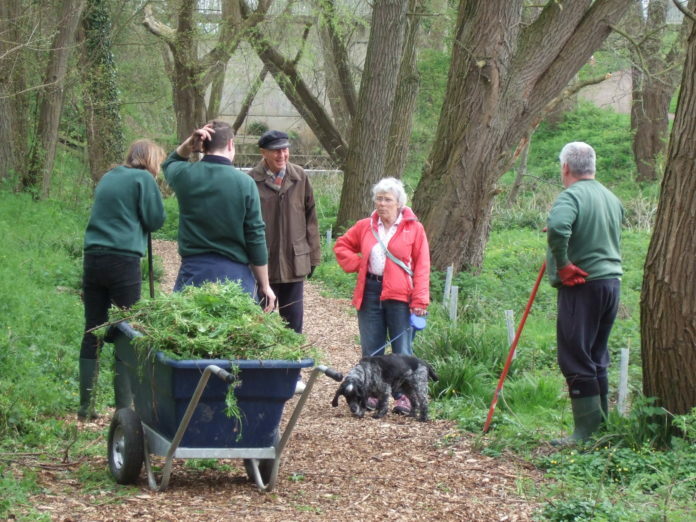 The benefits of volunteering outdoor (particularly in a beautiful environment like Saintbridge Nature Reserve) are well documented. 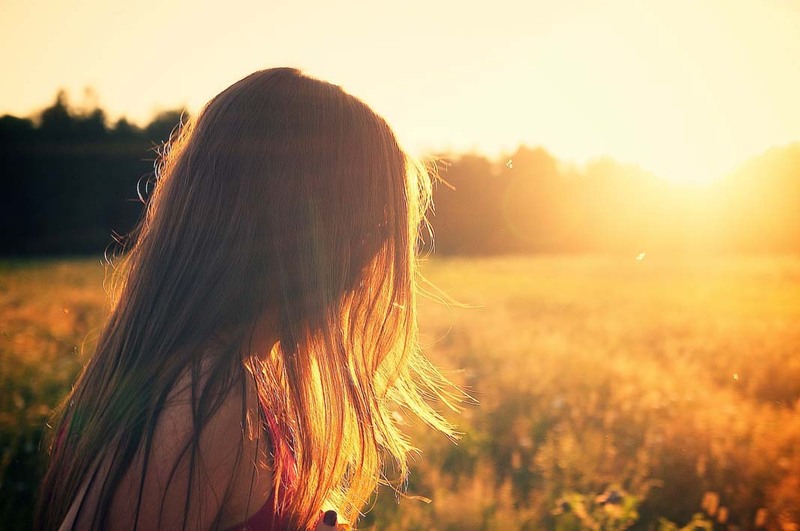 Both physical and mental wellbeing are enhanced. There is certainly something about green spaces that lifts the spirits. A survey in the Guardian newspaper (ICM research) found that nearly half of all volunteers (47%) say volunteering has improved their physical health and fitness. Of the people who had volunteered for more than two years, 48% say that volunteering makes them less depressed. 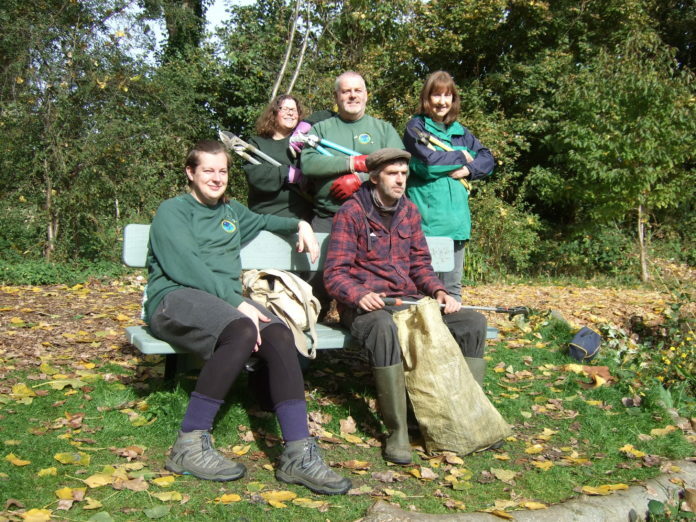 When a volunteer group works to improve their environment (such as FOSP) they feel part of the surrounding community, with a sense of ownership and pride. As the improvements to an area progresses, there is a knock on effect whereby littering and dumping reduces significantly. It can also very rewarding and motivating to receive compliments from members of the public. 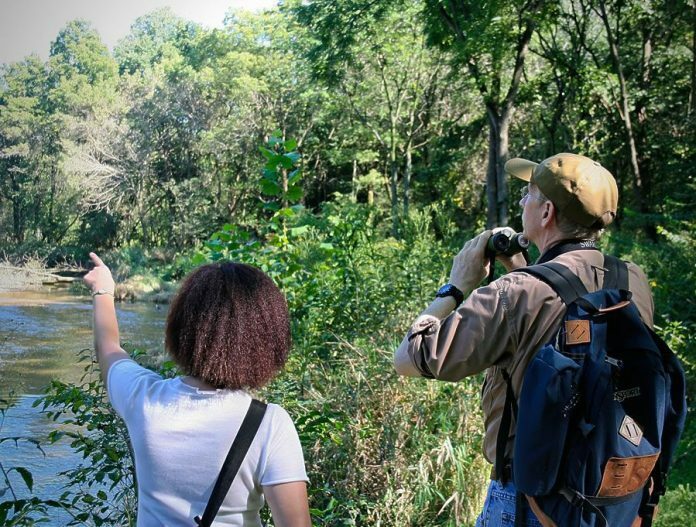 With so many opportunities to volunteer in our county, there really is something for everyone. You can visit Do-it.org to find yours. Why not join us, we meet the first and third Sunday of every month, weather permitting. 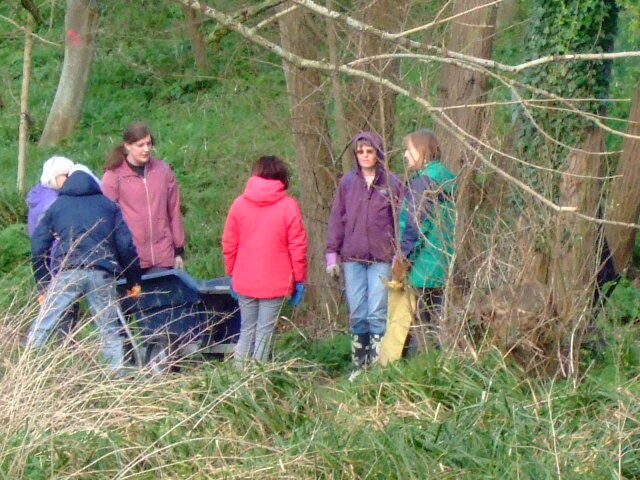 There are a range of jobs you can get involved with from simply cleaning up litter to eco cleaning of the Sud Brook as well as planting bulbs and assisting with wildlife recording. 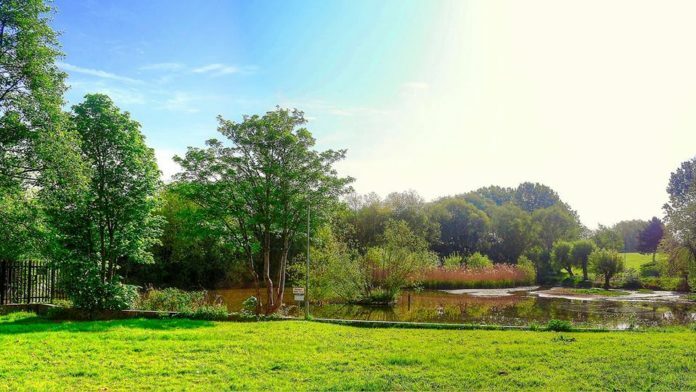 You get to make new friends, talk to locals and work with the Council, Police and Fire Service who all regularly visit the pond and nature reserve for one reason or another. It’s always a fun day out, we have a laugh and have over the past twenty years made a BIG difference to the pond and surrounding area turning it into a recognised nature reserve. 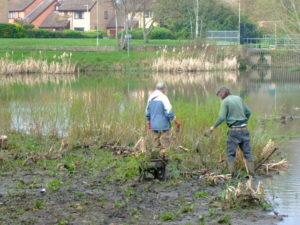 Alternatively, just show up any first or third Sunday of the month at the Saintbridge Pond, and you’ll find us spread around the pond undertaking various jobs, ask us any questions you like, you can even roll up your sleeves and you’ll welcome to join in. 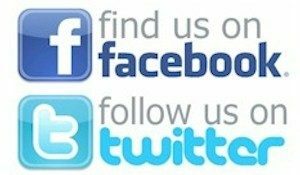 You’ll be briefed by one of senior team on the work we do and how it is best done. Older children are welcome to join in as long as they are accompanied and fully supervised by parents, but because of the dangers of water and drowning younger children cannot be involved and we are sure you understand for safety reasons we retain the right to refuse younger children access for their own safety. We look forward to maybe seeing you around the pond some day soon, even if it is just for a wander round, see what we’re doing, and if your tempted to join in you’ll be most welcome. 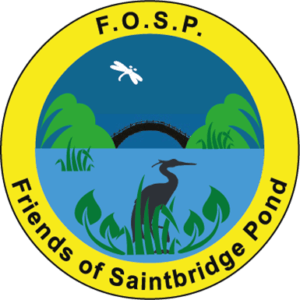 The FOSP team comprise of people from all walks of life, communities all coming together for the betterment of Saintbridge Pond, its inhabitants and the surrounding park and green space.